Diabetes on the rise globally, is physical inactivity the culprit? An estimated 422 million adults were living with diabetes in 2014, compared to 108 million in 1980. The prevalence of diabetes in adult population has nearly doubled since 1980 rising from 4.7 per cent to 8.5 per cent, as per a World Health Organization (WHO) report. 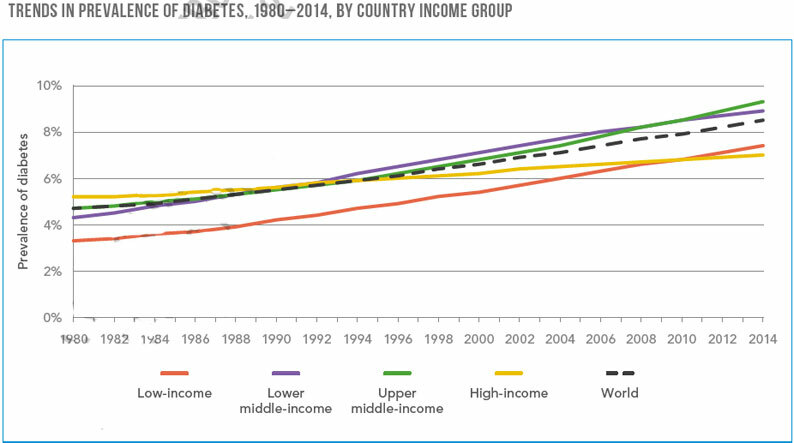 The report highlights that the instances of diabetes have risen faster in low and middle income countries. South-East Asia and Western Pacific regions accounted for almost half all diabetes cases in the world. The WHO Eastern Mediterranean Region has seen the greatest rise in prevalence of the disease, reaching 13.7 per cent of the adult population. Forty per cent of this increase is estimated to result from population growth and ageing, 28 per cent is due to rise in age-specific prevalence, and 32 per cent from the interaction of these two, says the WHO report. The report adds that diabetes is not just a health issue but also puts pressure on economy. 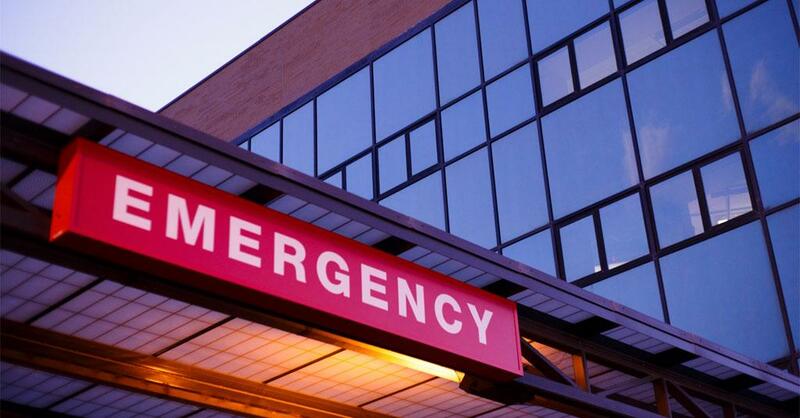 It imposes a large economic burden on global healthcare system and the wider global economy. This burden can be measured through direct medical costs, indirect costs associated with productivity loss, premature mortality and the negative impact of diabetes on nations’ gross domestic product (GDP). The study shows that diabetes will lead to worldwide losses worth US $1.7 trillion from 2011 to 2030. 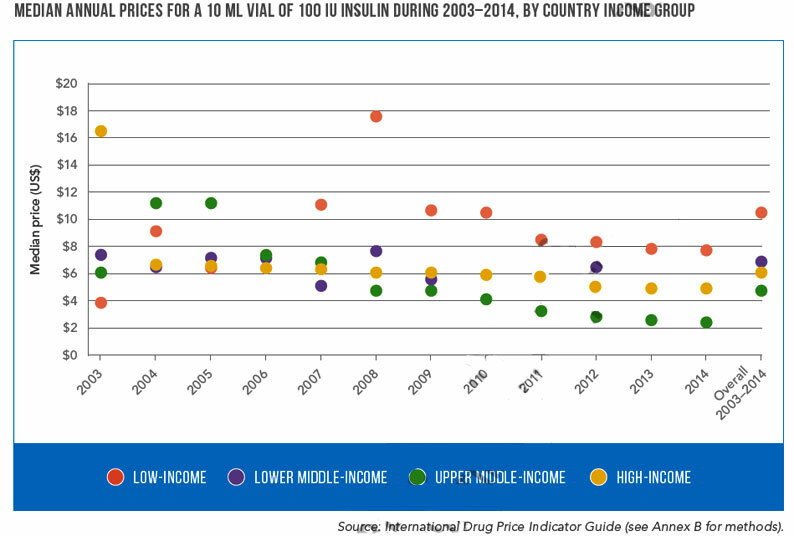 This includes direct and indirect costs of diabetes, of which $900 billion will be incurred by high-income countries and $800 billion by low- and middle-income countries. While the disease can be conquered by simple routine measures like regular physical activity that reduces the risk of diabetes and increases glucose levels. Global physical inactivity is of increasing concern. As per the report, latest data trends show that less than a quarter of all individuals above 18 years did not meet the minimum recommendation for physical activity per week. Data also shows that women, worldwide, are less active than men, with 27 per cent of women and 20 per cent of men classified as insufficiently physically active. Physical inactivity is also alarmingly common among adolescents, with 84 per cent of girls and 78 per cent of boys not meeting minimum requirements. Physical inactivity is the highest in high-income countries where it is almost double that of low-income countries. Experts suggest that high sugar consumption through sugar-sweetened beverages (SSB) (aerated and non-aerated) can be associated with increasing risk of diabetes in children and its early onset among adults. 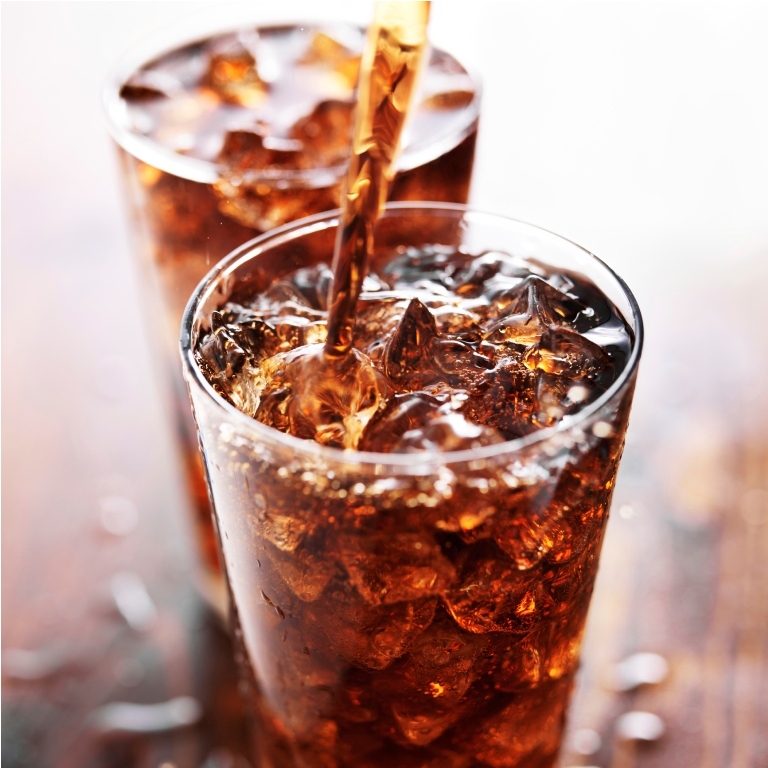 “The free sugars from sugar-sweetened beverages are the main concern linking obesity which itself is a major risk factor for diabetes,” says V Mohan, chairman and chief of diabetology at Dr. Mohan’s Diabetes Specialities Centre, Chennai. According to a study by the International Diabetes Federation, the number of diabetics has increased from 32.7 million in 2000 to 65.1 million in 2013. Data also shows that India, with 11 million diabetes-related deaths in 2013, was among four major countries to report the highest number of deaths due to the disease. “The relationship between increased consumption of SSBs and its linkages with diabetes is more robust in children, and sometimes in adults. Cases of diabetes have increased by leaps and bounds in last ten years and some association can be ascribed between excessive SSB consumption and youth onset obesity, metabolic syndrome and diabetes,” says Anoop Misra, chairperson, Fortis C-DOC, Centre of Excellence for Diabetes, Metabolic Diseases and Endocrinology. How much sugar do SSBs contain? Sample this. Even the small packs of these beverages can significantly exhaust the recommended daily allowance (RDA) limit of 30g for sugar as per National Institute of Nutrition (NIN). Below is the review of some popular SSBs with the amount of sugars consumed from small individual packs and its comparison with %RDA value. The data above shows that such sugary drinks can significantly contribute to the RDA of sugars and leave no or little room for sugars from any other food source. Indians already have a carbohydrate-rich diet and as per the WHO’s sugar guidelines, the daily intake of sugars across different populations should be less than 25g. There is lack of data on the per capita consumption of SSBs in India, but with rapid growth of the beverage industry in the country, immediate interventions are needed to quell the risk of diabetes. “Data shows that the rising consumption of sugar in India parallels the diabetes epidemic as well as the obesity epidemic. We should certainly adopt measures taken in other countries before it is too late,” adds Mohan. Mexico had the highest per capita consumption (135 litres) of carbonated soft drinks in the world in 2013. The country ranks near the top when it comes to adult obesity, first in Type 2 diabetes, and fourth in childhood obesity. To bring the situation under control, Mexico has introduced a sugar tax and revised nutrition labels to enhance consumer awareness as key public health interventions. Easy availability of such drinks in urban areas and their growing penetration in rural areas can be held responsible for the rise in consumption. SSB sales in India increased at a rate of 7 per cent per annum in 2015. Along with easy access, such products are also low-priced as compared to fresh foods such as fruits and fresh juices. Beverage companies such as Coca Cola India, Pepsico India and Parle Agro have been launching smaller individual packs to increase the consumption of their beverage products. Aggressive marketing and promotion of such drinks targeted at children and youth are also responsible for increased consumption. Most beverage drinks are endorsed by celebrities and some offer free goodies with the packs too. Experts say children are not the best judges of their food choices and get lured by such visuals and offers which can impact their choice and influence their parents’ decisions. “Advertisements for high sugar foods, especially SSBs, are designed to create a feeling of deprivation amongst observers which gets translated into cravings for the food. Free goodies and celebrity endorsements further reinforces the feeling which leads to an increase in demand amongst children,” says Pulkit Sharma, clinical psychologist and director at Imago, Centre for Self in New Delhi. While India lags behind when it comes to having robust regulations for such advertisements on different media platforms, several countries have adopted measures to regulate product promotion targeted at children. For instance, they prohibit advertisements for such products during prime time or children’s programmes and restrict free gifts and toys. These countries include the UK, Canada (Quebec), Sweden, Estonia, Chile, Mexico, Iran and South Korea. Apart from advertisements and promotion, appropriate nutrition labelling of foods is an important factor. “Nutritional labelling in our country is still not adequate and is often misleading as consumer awareness has still not increased to the levels reached in Europe or in the US,” says Mohan. Current food labels are inconsistent across different variants and different packaging of the same product category. It also varies across different product categories. Key gaps include the absence of RDA values and per serve information on food labels. These labels do not declare salt content in foods and include information for 100 g of product. Internationally, most countries mandate the declaration of salt on product labels. RDA values and per serve information are also included. In India, there is no provision for front of pack (FoP) labels to provide nutrition information at a glance to help consumers make informed dietary decisions. Some brands declare this information on voluntary basis albeit inconsistently. There are no initiatives yet for providing warning labels on foods in India to highlight any negative aspects. Current nutrition labels should be made more comprehensive by including RDA value and per serve information, among others. FoP labels should be introduced across all products irrespective of size and packaging to help consumers make informed dietary decisions. Warning labels should be introduced to highlight the high nutrient content of foods on the label. Aggressive marketing and promotion of unhealthy foods should be regulated. Celebrity endorsement should be banned. "There is a need to regulate marketing and promotion of sugary foods. There is also a need for psychoeducation of parents as their choice gets influenced by food advertisements. Instead of promotion of sugary foods, the government should promote options such as fresh fruits,” suggests Sharma. Two premier Indian organisations pursuing research in drug discovery have joined hands to develop new approaches for diagnosis and treatment of diabetes. The collaboration between the Drug Discovery Research Centre (DDRC), a niche centre of the Translational Health Science and Technology Institute of the Department of Biotechnology, Government of India, and Revelations Biotech Pvt Ltd (RBPL), a Hyderabad based Research and Development Company, focuses on two programmes—The Artificial Intelligence based programme (AIP) and the Drug Discovery programme. AIP aims to develop a data-based software package to identify youngsters becoming susceptible to the disease and predict future course of action for those who are already diabetic. Sedentary lifestyle and high calorie intake have led to a rapid increase in incidences of diabetes in youngsters, earlier thought to be a “middle-age” disease. AIP will enable individuals to make appropriate lifestyle changes to mitigate the development of the disease and prevent its progression. The Drug Discovery programme, on the other hand, is aimed to counter excess glucose in the blood stream—the main manifestation of diabetes, which is also characterised by a disturbance in the body’s carbohydrate, fat and protein metabolism. The programme aims to develop a new drug to prevent reabsorption of glucose in the kidneys and thus lower blood sugar levels. This collaboration is significant for India as it now stands as the diabetes capital of the world. Diabetes cases in the country have increased from 32 million in 2000 to 63 million in 2013. This number is expected to cross 100 million in the next 15 years. The annual expenditure for diabetes treatment in India is to the tune of Rs 1.5 lakh crores. Health inequities, or unfair differences in health, still persist in urban areas despite some amount of progress made in the past five years. This has been brought out in a new report by the World Health Organization (WHO) and the United Nations Human Settlements Programme (UN-Habitat). The study points out urban health inequity patterns and their social, economic and environmental determinants. It builds on the first review of the urban health situation in the 2010 global report on this very topic. Emphasising on health inequities among vulnerable populations, the report compares data on the health of the urban populace in around 100 countries based on various criteria. These are access to clean water, access to HIV knowledge, obesity and air pollution. Nearly one billion people living in urban slums and informal settlements today are at risk, the report adds. Earlier, a UN report on the state of cities had highlighted how reducing inequality and poverty are essential to boost the quality of life in urban areas. The report shows that health inequities affect both high-and low-income countries (LMICs) alike, and in some cases, health outcomes are even worse in the urban areas than in the rural regions. 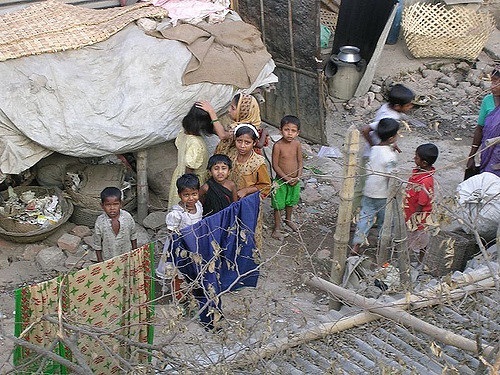 The report finds that in 79 LMICs on an average, children in the poorest one-fifth of urban households are twice as likely to die before their fifth birthday as compared to rich children in the same bracket. Even in higher-income cases, a study of 16 European cities found evidence of health inequity in all the cities which was associated with socio-economic deprivation. While a number of urban areas have improved health coverage, the report finds that coverage for the poor still lags behind. Currently, at least 400 million men, women and children across the world are excluded from affordable healthcare services. They have little or no access to healthcare services, and often, health insurance is inadequate or non-existent, the report adds. It also includes a new Urban Health Challenge (UHC) dashboard. The new report coincides with the new set of Sustainable Development Goals (SDGs). Equity, inclusiveness, accountability in healthcare and development are an essential part of the SDGs. The urban population is growing at a rapid pace and at present nearly four billion people live in cities. The report emphasises on the urgency of addressing health disparities and their determinants in cities as countries strive to achieve SDGs and identify innovative ways to achieve UHC. It also reviews the progress made in reducing equity gaps and enhancing healthcare in cities, especially with respect to achieving the Millennium Development Goals (MDGs) and found that vulnerable populations in the cities were left behind. As urban spaces continue to grow, health inequity will hinder national and global progress towards the SDGs if not solved, the report reads. Improving health will remain a global priority during 2016–2030 as part of SDG goal number 3. This goal focuses on ensuring healthy lives and promoting well-being for all where goal number 11 is dedicated to making cities inclusive, safe, sustainable and resilient. The report says that various aspects of urbanisation such as urban planning, housing, transport and energy are interlinked with the healthcare sector. So, a cross-sectoral and outcome-oriented strategy can address the inequity between the rich and the poor in urban areas. “This report gives countries and cities practical tools to reduce health inequities and achieve the SDGs,” Kieny added. Increasing urbanisation poses various health challenges, including the double burden of non-communicable (NCDs) and infectious diseases, air pollution, limited access to water and sanitation. Other problems are the need to improve nutrition, increase physical activity and build resilience to health emergencies, the report adds. The report offers solutions for ensuring accessibility to water and sanitation, reducing urban sprawl while developing new transport options, increasing road safety, making cities age-friendly and accessible to people with disabilities, managing urban health emergencies and increasing resilience. It also emphasises on healthier homes, particularly for those living in urban slums. The report shows how cities will affect lifestyles of urban residents and focuses on the challenges of NCDs. Explaining the impact of motorised transport, preference for fast and convenient food, the study shows how obesity has the potential to fuel an increase in the burden of NCDs. According to the joint press release by the UN and the WHO, a report highlights various areas of interventions that can reduce the urban burden of such diseases. These include smoke-free city ordinances and their enforcement, altering the built environment and promoting alternative transport options to foster greater physical activity and reduce air pollution, new approaches to urban food environment to reduce malnutrition and obesity, affordable and healthy housing conditions and safety-related efforts. “In cities, progress in health depends not only on the strength of health systems, but also on shaping urban environments. Capitalising on such interdependent factors leads to efficiency, synergies and co-benefits, and is essential to attaining the SDGs,” Alex Ross, director of the WHO Centre for Health Development in Kobe, Japan, said. 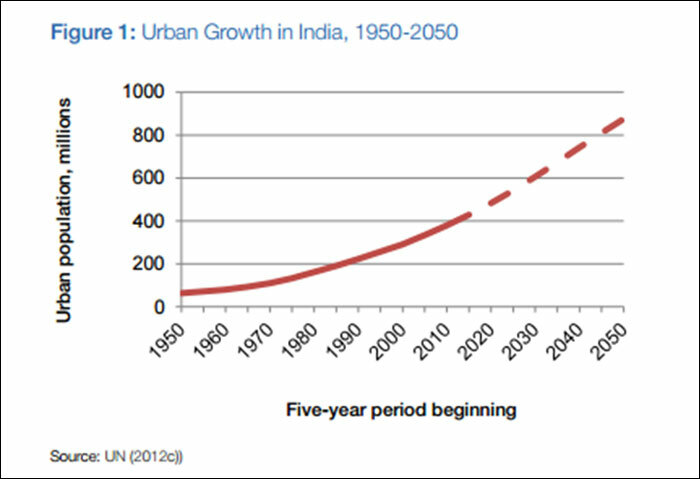 India is poised to witnessed significant urban growth over the next 35 years. This suggests that more individuals will encounter urban risk factors when it comes to NCDs. India is rapidly urbanising, and between 2014 and 2050, the country is expected to add an additional 404 million people to its cities, the report adds. It underlines the cost of cardiovascular diseases (CVD), diabetes, cancer, chronic respiratory diseases and mental health conditions to touch an estimated US $ 6.2 trillion during 2012–2030. Asian cities will grow the maximum in the next 40 years and can have 63 per cent of the world’s urban population by 2050, the latest UN report on the state of world’s cities says. The WHO report warns Indian policymakers about the risk to city dwellers and demands adaptive strategies from the national government as well as from local urban authorities. “A healthy population is essential for creating economically competitive and inclusive cities,” said Joan Clos, executive director of UN-Habitat. The report sets up the new urban agenda for the Third United Nations Conference on Housing and Sustainable Urban Development to take place in Quito (Ecuador) in October this year. Cities are responsible for more than 70 per cent of all greenhouse gas emissions globally and governments have the ability to bring about a change through policies and programmes, the report says. As world leaders come together for signing the historic Paris climate change treaty on April 22, (Earth Day), the health report provides solutions for achieving healthier cities. Delhi-based non-profit Centre for Science and Environment (CSE) has asked for stricter food regulations to limit the growing burden on diabetes in India. “Beat Diabetes” is the theme for World Health Day, April 7, this year. India is home to over 60 million people suffering from diabetes and the number is expected to rise. 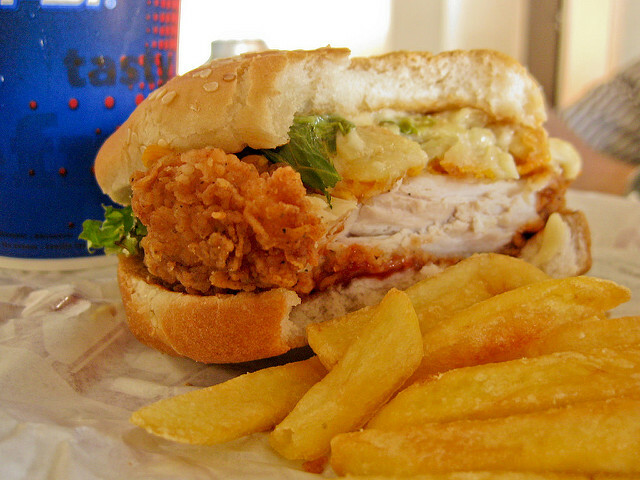 “India needs to take measures to limit consumption of junk food. It should be integral to government’s plan to contain diet-related non-communicable diseases (NCDs). It should regulate marketing of foods, drastically improve-upon existing labelling norms, limit availability of junk foods in schools and run public awareness campaigns”, said Chandra Bhushan, deputy director general at CSE. Most prevalent form of diabetes is Type 2, which is a diet-related NCD. Excess consumption of processed foods, which have high salt, sugar and fat content, is strongly linked with growing prevalence of obesity and NCDs. As India goes through a transition in dietary habits from traditional, fresh foods to modern packaged foods, obesity has become a severe problem in children. “The food industry should not be allowed to aggressively target our children. 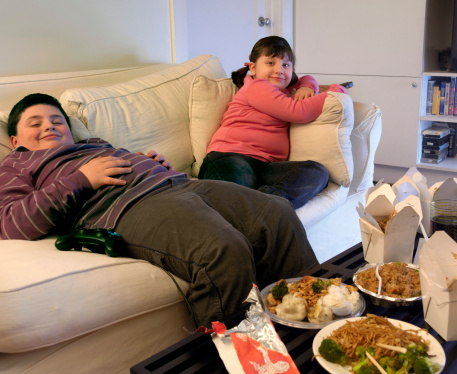 Broadcast of food advertisements should be prohibited on programmes that are watched by children. No junk food should available at schools or near-by. Mandatory government controls are required as successfully done in other parts of the world,” added Bhushan. CSE also highlights the need for reform in product packaging.“Salt is yet not required to be mandatorily labelled on packaged foods. There are no provisions to inform consumer about how much a particular food or portion of it contributes to the recommended daily intake of salt, sugar or fat. Serving sizes are not standardised. These are best practices across the world”, says Amit Khurana, programme manager, food safety and toxins, CSE. “In fact, the need of the hour is warning labels that clearly highlight that a particular food is unhealthy, just the way it’s been talked about in case of tobacco,” adds Khurana. Studies have also linked increase in air pollution to diabetes. For every 10 μg/m3 (microgram/cubic metre) increase in PM2.5 exposure, there can be increase in diabetes prevalence. A study published in Diabetes Care 2011 has found that counties with higher levels of PM2.5 had more than 20 per cent increase in diabetes. This remained even after controlling for other diabetes risk factors. The non-profit recommends an integrated approach combining good food strategy with control of environmental risk factors to reduce the disease burden and health costs associated with diabetes.